Monday evening before I left to London, I attended an extremely lovely invitation. 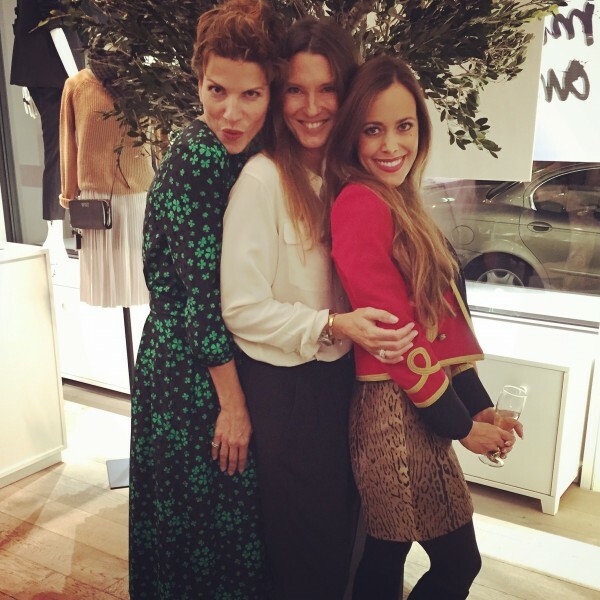 Laurence Antiglio hosted an editors’ dinner to celebrate the 10th anniversary of her fabulous store VESTIBULE. The website says “a favorite address of Zurich’s in-the-know fashionistas for its sharp selection of designer brands.” I would sign this statement. 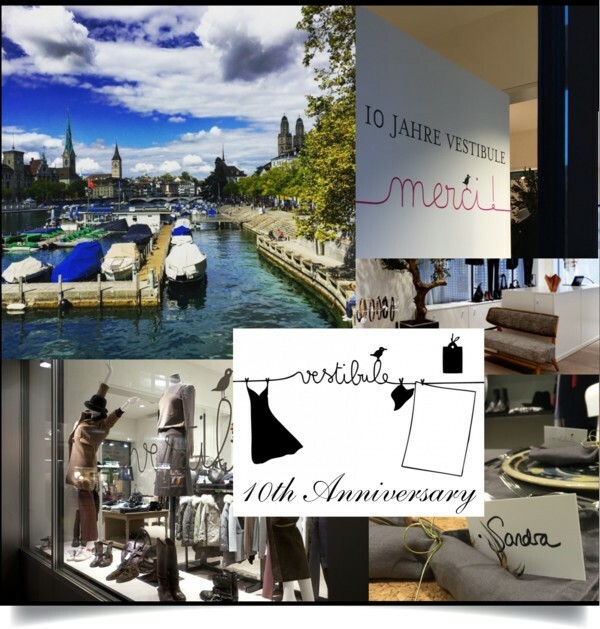 With the likes of Nina Ricci, Sonia Rykiel, Chloé and many more, the French-speaking Swiss carries a wonderful variety of established labels as well as newcomers. 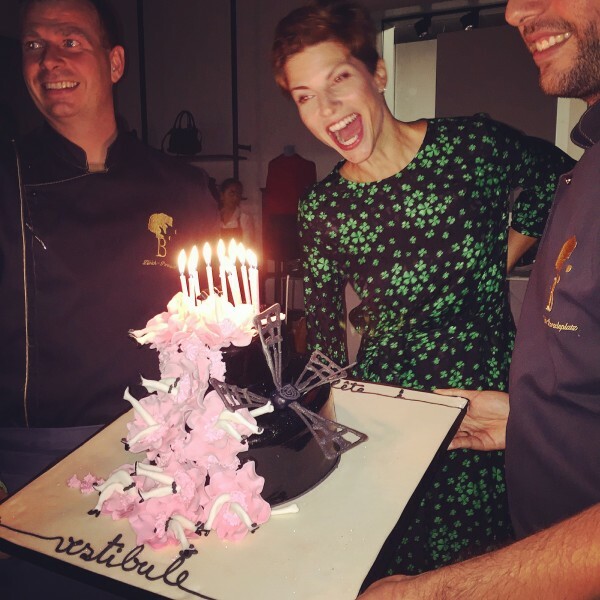 10 years ago she started in Zurich’s Niederdorf with one store and lots of passion. The first thing she sold? A reindeer that was a decoration from the window display. But that didn’t stop her! Today, she owns two shops, one in the city center at St. Peterstrasse 20 and one in Seefeld. Laurence has fulfilled her dream and we admire her for that. Good luck for the many more years to come! 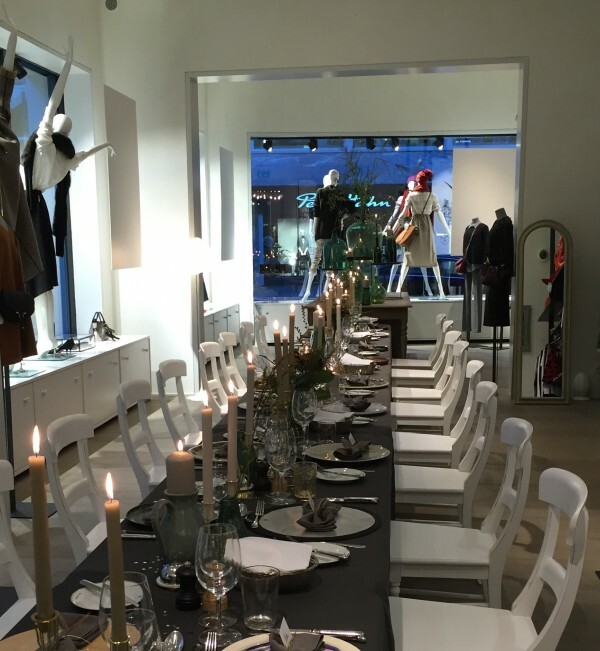 Great idea: Hosting a dinner in the store. I loved eating in the middle of all the clothes and bags. Laurence Antiglio, Sabina Hanselmann-Diethlem and my humble self in Saint Laurent. 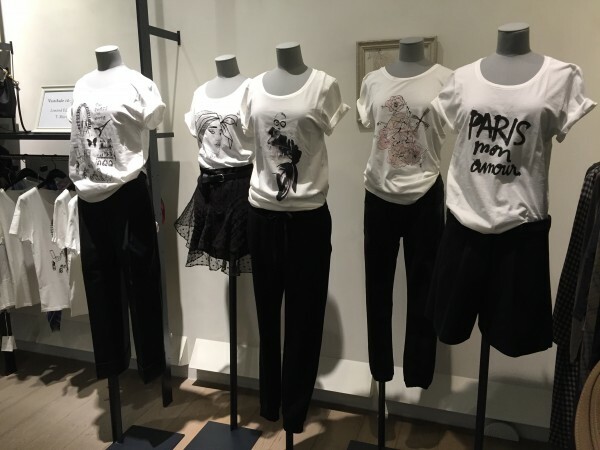 On display: the limited edition tees that will especially launch for the 10th anniversary. Hurry up, they are going to sell out fast!